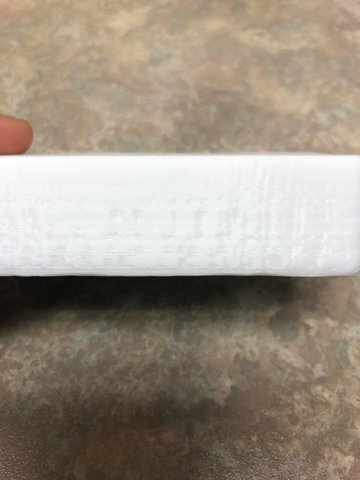 I have a help request that I cant seem to get corrected. 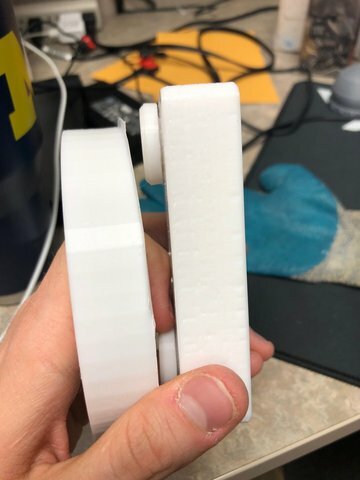 Recently when I try to print a part ( Cam - part for a manufacturing operation ) that I had previously printed successfully I get a grooves on my layers. Picture 1 shows the issue during print. Picture 2 shows a comparison of the same model printed previously with success. Picture 3 shows the part that was printing together with the failed part (You can see it in the back of the first picture). This part had no issues like the one Im having issues with. Picture 4 is a close up of the failure. 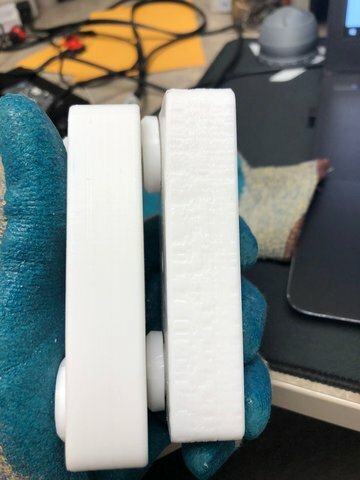 This is very problematic due to the needed precision from this part as a cam follower goes around it and these grooves create vibration, wear and ultimately a non acceptable final product. 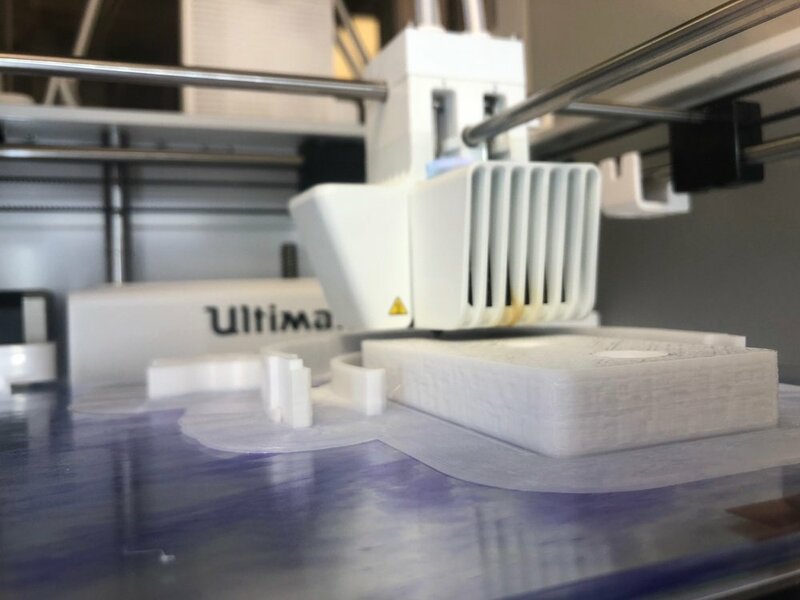 I have attempted to print this once more time since with a different orientation and had the same result. I am using Ultimaker 3 default PC settings ( Speed toned down to 30 and in-fill to 95% ). I am also using breakaway material for support. Please let me know if you guys have suggestions. I appreciate the help.